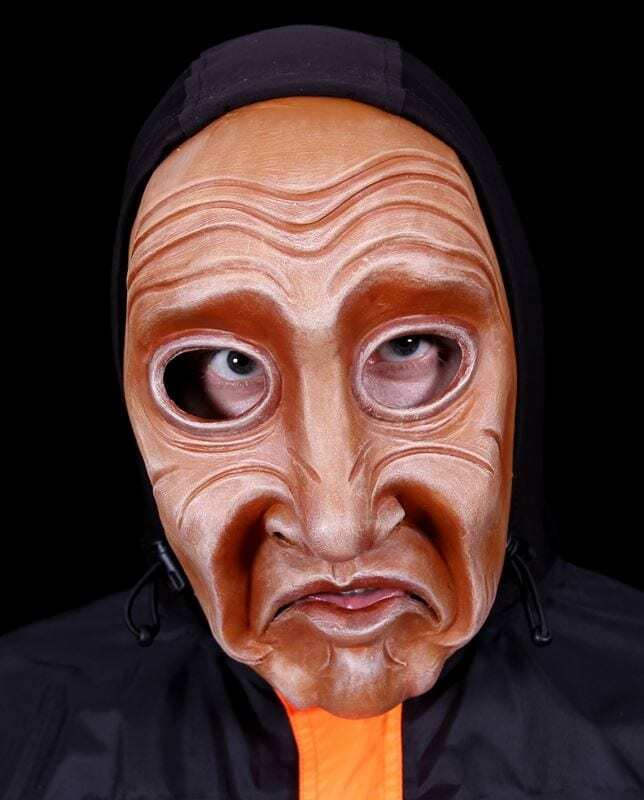 This full face character mask moves from the basic rhythmic qualities of Fear, jealousy and anguish. His character mask has a very difficult time finding joy and calm in the day. Everything seems desperate, confusing and fraught with disaster. It’s moments of joy and calm are fleeting and poetic. 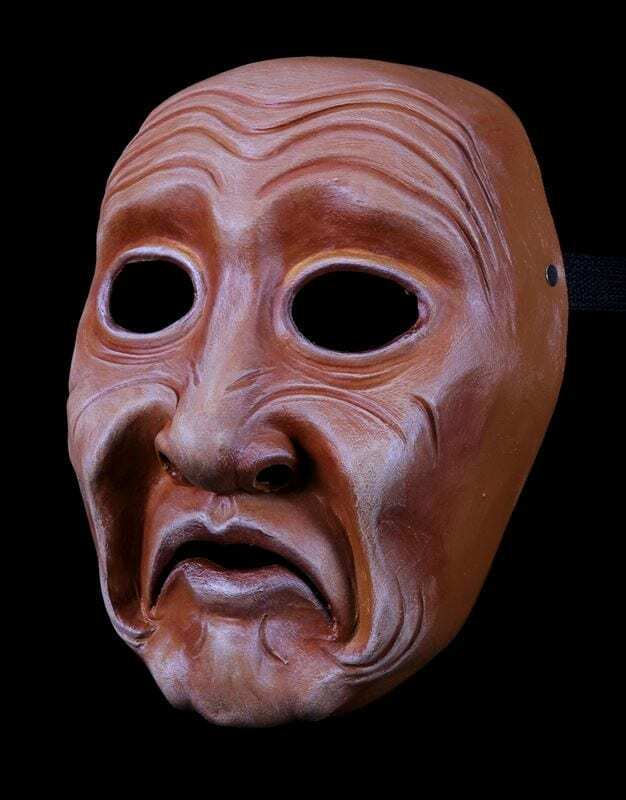 This is one of the strongest masks in the character mask series and is also based on sculptures by Franz Messerschmit. 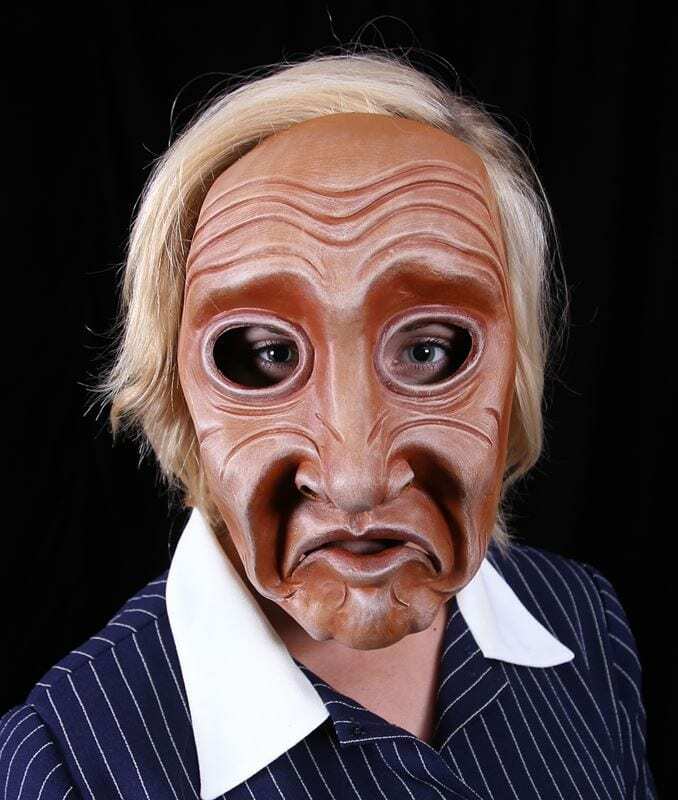 This mask was created for a client as a mask for teaching actors. Jonathan Becker has found it to be an excellent addition to the teaching masks.